Choose from our standard range of 100×50 RHS stair stringers in Duragal or hot dip galvanized coatings or we can custom build stringers to all types of specifications including heavy duty industrial PFC stringers with floor grating non slip treads. 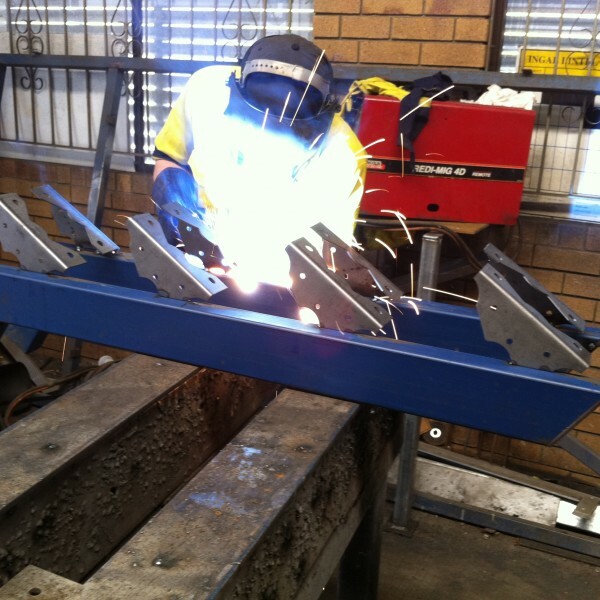 Our stair stringers are manufactured in Australia and are 100% Australian made to comply with Australian standards. We pride ourselves on industry leading quality and design of our steel stair stringers; fabricating our stringers to the high standards you require. For more information on our products call us now. We stock a range of stringers to a standard rise of 170mm x 250mm ‘going’, in both hot dip galvanized and pre-gal materials. We manufacture stringers ranging from 1 tread up to 17 tread with the wall thickness of the 100x50mm RHS material increasing as required (1 to 12 tread = 3mm BMT / 13 & 14 tread = 4mm BMT / 15 to 17 tread = 6mm BMT). Typically steel stair stringers are sold as a pair, however they are also available as a single stringer to accommodate extra long treads. The standard range of stringers are designed to be cast into a concrete footing at ground level, and we also custom make stringers to bolt fix to existing concrete or to bolt fix to a mid-span landing. Our stair stringers can be manufactured to suit your needs and requirements. On some occasions we are required to change the rise to accommodate a specific height requirement, stringers made to a custom rise are marginally more expensive but easily achievable with accurate vertical dimensions supplied to our office. Our tread brackets are designed to accommodate timber or aluminium treads that are sold separately. Stringers can be painted on site or we can place you in touch with contractors who can apply a powder coated finish. 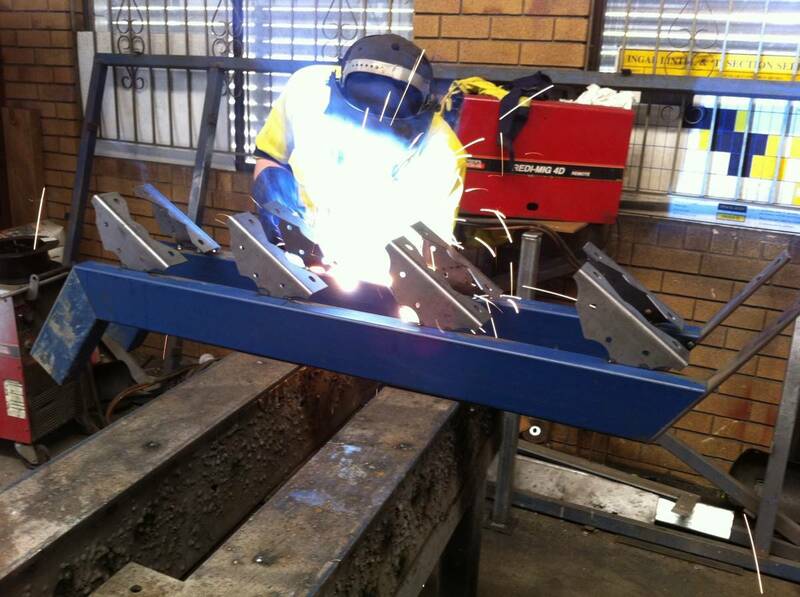 Delivery of our steel stair stringers is available across Brisbane and South East Queensland. If you need any more information on our products then please do not hesitate to call on (07) 3821 0424 or get in contact with us by email, outlining your request.